What’s the Difference Between Endodontic Treatment and Retreatment? Learn why you might need endodontic treatment— or retreatment. 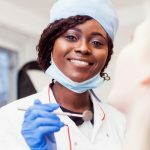 To better understand endodontic treatment and the need for retreatment, it is helpful to have a foundational understanding of what endodontic treatment entails. The word endodontics comes from the Greek; “endo” means “inside” and “odont” is Greek for tooth. Quite literally, endodontics has everything to do with the inside of your tooth. Dental pulp, the inside of the tooth, is comprised of a vast network of nerves, which are interconnected with other parts of the mouth. 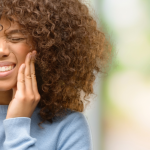 When you experience tooth pain, it could be due to a variety of conditions, from an abscess to a cracked tooth or a cavity. The job of your endodontist is to save a diseased tooth and alleviate as much pain as possible. Root canal therapy is used to remove diseased pulp tissue and cover the tooth with a filling or crown to prevent future problems. X-ray and examine the tooth. Administer a local anaesthetic to numb the tooth. Isolate the tooth with a small protective sheet to keep it clean during the procedure. Create an opening in the tooth at its crown. Tiny instruments are used to clean the infected pulp from the pulp chamber. After the space is cleaned up and shaped, fill and seal the root canal with a biocompatible material. Place a temporary filling over the opening, to be replaced with permanent filling on the next visit. Endodontic treatment recovery should only take a few days until there is no remaining pain. If pain continues or re-surfaces, this may indicate the need for retreatment. Narrow or curved canals inside the tooth were not treated the first time. The placement of a crown was delayed, allowing bacteria to re-enter and gain purchase inside the tooth. 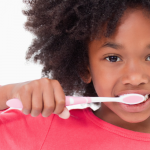 Tooth decay re-exposes the root canal to bacteria, causing a new infection. The tooth sustains a fracture or other injury. Root canal treatment and retreatment are relatively similar in terms of procedural steps. Retreatment takes place because of a complication following the initial procedure. During your retreatment, your endodontist will remove and attempt to restore your canal filling. In either case, endodontic treatment time usually takes between 19 and 55 minutes, with most procedures lasting about 33 minutes. Sometimes, retreatment is necessary and unavoidable. 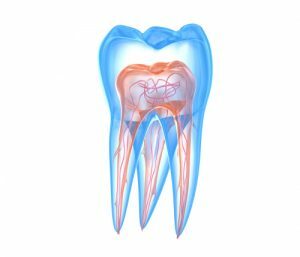 If you’re experiencing pain again in the same tooth where you had root canal therapy, all is not lost. 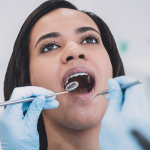 Retreatment is successful for many patients, which is why it’s worth seeking before deciding to have your tooth extracted. An endodontist can assess the causes of your pain and offer the best solutions for long-term dental health. To make an appointment with one of our trusted Penn endodontists, please call our office at 215-898-8965.